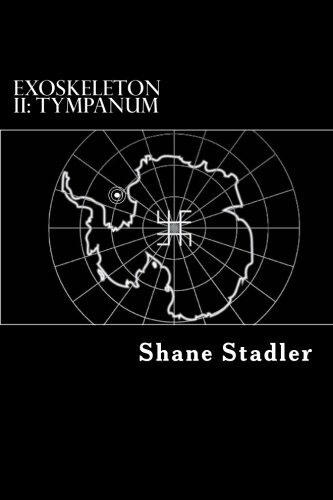 My most recently published is Exoskeleton II: Typmanum, the sequel to my debut novel, Exoskeleton, which crosses genres (horror, SF, supernatural, thriller). Tympanum is quite different, but is also a blend of horror, SF, and supernatural thriller. The third in the series is underway (Exo III: Omniscient). My first true horror read was Carrie by Stephen King when I was in 8th grade. I read a lot of his work since. Hannibal (Thomas Harris), ‘Salem’s Lot (Stephen King), and H. P. Lovecraft’s collections. I would start them with Lovecraft (short story collections), then Stephen King’s Carrie and ‘Salem’s Lot, and Harris’ Silence of the Lambs and Hannibal. (Sorry, that’s three authors rather than three books). King(s): (early) Lovecraft, (modern) Stephen King. The Exorcist. That movie still scares me, and I don’t scare easily. When I saw that movies as a kid it gave me nightmares. Strangers, by Dean Koontz. Great story and good characters that I‘d like to see on the screen. I actually don’t write with a target genre. My stories have a life of their own and if they cross into other genres (like SF or supernatural) I let them go. My first two novels have elements of horror, but also SF and supernatural. I sent out numerous query letters to agents and editors. I hadn’t had much luck with either until Dark Hall Press responded with a request for the full manuscript. The DHP Editor, William Renehan, liked the story and published it a few months later (that was Exoskeleton in 2012). Exo did pretty well, so we signed another contract for Exo II: Tympanum and published it in 2015. Exo III: Omniscient will be next. I’ve met some really great people since Exo was published. Much of the positive feedback that I get from them is they like these stories (Exoskeleton and Tympanum) because they are unpredictable. This is at least partially due to the crossing of genres (horror to SF to supernatural) – it catches readers off guard. I have gotten a lot of positive correspondence from readers in the UK, where the books have seemed to have caught on. Two things: First, I think that stories in many other genres can more easily reflect problems and situations experienced by people in their everyday lives. Not that this doesn’t occur in horror writing, but I think it is less common. Second, those other genres can deliver a message – moral, philosophical, etc., that is just less common in horror. In the roughest sense, horror is an emotion, and the strict horror genre is meant to summon that emotion. There has to be more, and some of the better horror novels have it. I think it is continuously evolving, finding its way into our changing world. It might not always be on the surface, but it is lying in the baseline, waiting to emerge. And it always will. Be unique and inventive. Don’t be constrained to the genre – don’t be afraid to experiment. Write every day, and don’t get discouraged. There is a lot of rejection in this business, but persistence is a virtue. Yes, I believe in evil. And I believe in good. And I don’t think they can be isolated. Time. It can creep up on you. I occasionally partake in the festivities – costume parties, etc. I enjoy seeing the littlest of the kids having fun collecting candy.